HURRICANE — The lack of low income housing and its relation to the long term rental of privately owned homes in Hurricane was a major point of discussion in Thursday evening’s City Council meeting. 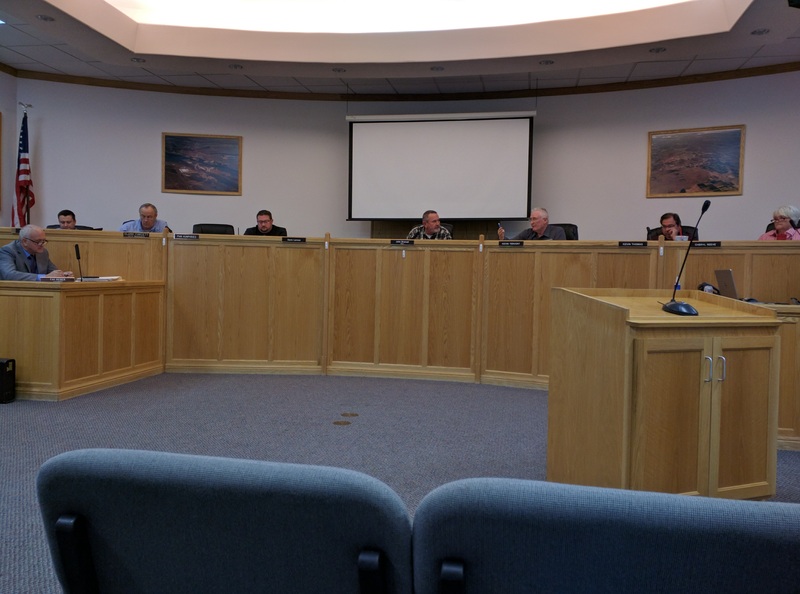 The City Council had a lengthy discussion led by member Kevin Thomas regarding a proposed ordinance regulating the use of portions of private residences to be rented long term in residential zones. “The intent with this ordinance is to allow anyone in the city to rent a portion of their home,” Thomas said. “This would only apply to long-term rentals,” he said, effectively separating it from the issue of short term vacation rentals discussed at length in the council earlier this year. A previous attempt by the council to allow long term rentals was dismissed because it did not properly address regulations regarding such allowances. Thomas went on to list a thorough catalog of stipulations, including limiting such rentals to one unit per household and ensuring that the rented portion has proper access to toilet and kitchen facilities as well as parking availability. Thomas recognized the need for residential rentals after he invested $95,000 into a casita for his mother who died only six months after coming to inhabit the addition. He said it was an undue burden to not allow him some recourse to recoup the costs of the casita through rental. “I don’t think it’s just in the city rights to limit people not to do that anyway,” Council member Cheryl Reeve said. There is a balance in regards to zoning and ordinances, and some cities allow such rentals while others don’t, noted Mayor John Bramall. But he said was open to it after hearing Thomas’ list of stipulations. The proposal was unanimously favored by the council and sent to the planning commission for consideration. Thomas also recently attended a meeting with the Utah League of Cities and Towns. He said one of the biggest takeaways from the training he received there was in regards to vacation rentals. “The state of Utah is very interested in having each city make an ordinance regarding vacation rentals,” Thomas said. Currently, unless it is expressly forbidden, the short term rental of residential properties is allowed in Utah. Only 10 cities in the state have such ordinances and Hurricane is one of them. A study in California found that banning vacation rentals was ineffective, Thomas said, so the state would rather see regulations be put in place to make sure any such rentals are up to code. The merits of Hurricane’s own ordinances were briefly discussed, such as the six month waiting period between using the home as a traditional residence before it could be allowed to be rented. The ordinances set up by the city work to ensure people are protected, Bramall said. He said he stands by the ordinances as effectively looking out for the safety of people while balancing well with property owners’ rights to rent out their homes on a short-term basis. We can’t forget about the additional tax/ fee income. Now can we.